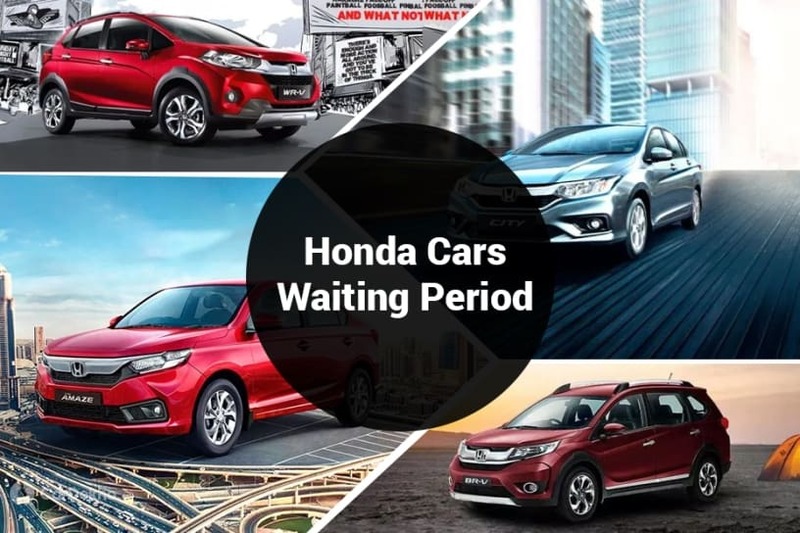 HomeNew CarsNewsMarch 2019 Waiting Period On Honda Cars: When Can You Get Delivery Of Amaze, City, WR-V & BR-V? All Honda models readily available in Chennai, Ahmedabad, Lucknow and Kolkata. Mumbaikars have to wait the longest to get their hands on the Honda City. Honda WR-V attracts highest waiting period of one month in the Pune. If you are planning to buy a new Honda car before the end of March and wondering how long you’d have to wait to get your hands on one, we’ve got you covered. Here’s waiting period on popular Honda cars across major cities in India. Honda Brio: Since Honda has already stopped manufacturing the Brio in India, it is not available in all cities across India, including Patna, Indore and Pune. However, Honda dealers in other cities are yet to offload the stocks of the now-discontinued hatchback. Honda Amaze: The Amaze is the best-selling Honda in the country right now. While it is readily available in cities like Chennai, Lucknow, Kolkata and Ahmedabad, you will have to wait for one month (highest waiting period) if you are living in Patna. Honda City: The City is among the best selling and the most sought after compact sedans in India. Like the Amaze, the City is also readily available in Chennai, Lucknow, Kolkata and Ahmedabad. However, the maximum waiting period goes upto four weeks in Mumbai. Honda WR-V: The third-best selling Honda in India commands a maximum waiting period of not more than one month. Like its siblings, it is also readily available in cities like Chennai, Lucknow, Kolkata and Ahmedabad. Honda BR-V: The BR-V attracts a waiting period of upto 45 days in Pune, the maximum for any city. Other cars from Honda’s lineup that are not mentioned here can be had within 10-15 days from the date of booking. It is important to note that the waiting period for the models mentioned in the table above is an approximation as the date of delivery will also depend on the variant, powertrain and colour chosen.